A Nottinghamshire police officer has denied assault by beating after the arrest of a man. Matthew Thompson was charged after an investigation into the officer's use of force in Caxton Road, Nottingham, on 13 July 2018. The 40-year-old, from Derby, pleaded not guilty after the probe by the Independent Office for Police Conduct (IOPC). 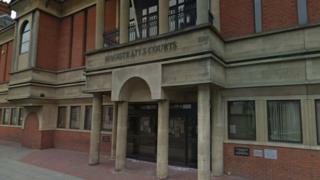 He is due to face trial at Loughborough Magistrates' Court on 25 March.